Priyanka Chopra's girl gang touched down in Amsterdam this weekend for the star's bachelorette party, and suffice to say, it looks like they're having a pretty good time. We've caught glimpses via Chopra's and other guests' Instagram Stories, and there's a whole lot of gorgeous canals, delicious food, and cocktails happening. Of course, Chopra isn't the only one engaged to a Jonas brother at the moment. 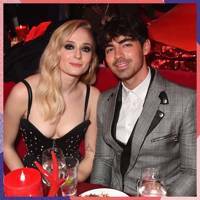 Game of Thrones star Sophie Turner also has a wedding coming up with Joe Jonas, Nick's older brother. And it seems like Turner is getting a sneak peek at her bachelorette party to come: She's in the Netherlands with the rest of Chopra's squad. Just judging by the pics alone, it looks like she and Chopra are going to be fantastic sisters-in-law. Take this great video, for example, that Chopra posted to her Instagram Stories. It captures the actress carrying Turner around piggy-back style—"in heels!" Chopra jokingly remarks. "Ugh — this is what you have to do for sister-in-laws these days," she continued, also adding the delightful hashtag "#TheJSisters" to the clip. Turner's also posted a few other cute pics of Chopra to celebrate the bride-to-be. These follow the two little clips, which includes the third feathery and bridal-y look we've seen on Chopra in about a week (something we're guessing may just pop up on her wedding dress come December 2, when she and Nick are reportedly set to get married in Jodhpur, India). Priyanka and Sophie have stepped out in public together before — the two and their fiancés went on a double date to watch the champs at the U.S. Open earlier this year. 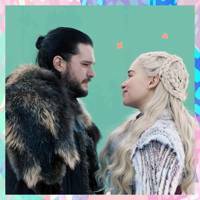 But we have our fingers crossed for more of these sisters-in-law moments in 2019. If anything, imagine what the holidays will be like for the "J Sisters" this year. Epic.